It is every woman's dream to be able to hide the fatty parts of their body. Have you noticed that most people are trying to reduce their intake of fatty foods to solve this problem, and resort to diets composed mostly of vegetables? However, is it really a right thing to say that consumption of vegetable foods can solve your problem of belly fat and flabby hips and thighs? Saggy Skin and Loose Fat is Caused By Weakening of the Muscles. Surely, once you experience some sort of fat problems, your diet in particular will be much of your concern. 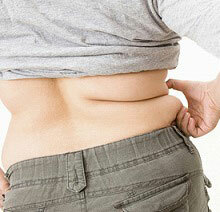 But you may have forgotten that these loose fats in your body are not caused by diet alone. Rather, you should pay more attention to the muscle quality in your body. Muscle is your major problem so you need to concentrate more on rejuvenating it in your body. 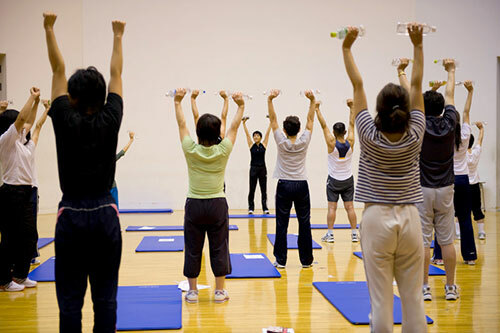 You may do simple exercises like weight lifting, using water bottles instead of dumbbell. When you walk, just stride by walking with long steps. Your body does become flabby with age. This is caused by small particles of fats trapped within the muscles itself. 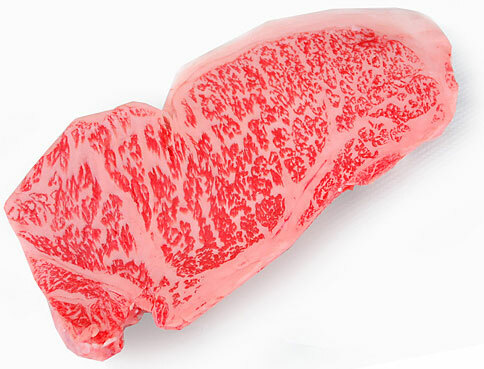 Now let's compare fat and muscles with a first class beef bought from a supermarket like the photo below. The white portion is made up of fat and the muscle portion is made out of protein. Yes, the white fat brings more flavors to the meat, making it juicier and tastier. On the contrary, fat is an enemy for the human body, but luckily you can get rid of it through exercise. Many of us try to reduce eating fats. Instead, we try to eat more vegetables. But actually this is wrong and is quite a common misconception. Protein found in vegetables is incomplete and does not meet the body's requirements for protein, while protein taken from animals does. If you venture towards being vegetarian then you may lose weight, but so are your muscles. On the other hand, protein found in animal meat is similar to our protein needs as they have the right amount of amino acids, which can be synthesized effectively by our bodies. As much as possible, you should eat protein-rich foods and exercise regularly to gain muscle weight. This will lessen loose fats in your body and help flatten your flabby stomach. Remember, lack of protein makes both your muscle and skin loose, resulting to saggy fats. Now you know that it is not the fatty foods you had been eating that are causing your abdominal fat and flabby hips and thighs. Stop eating only vegetables. It will not help you much in trimming down and in staying fit and slim. Go and eat a lot of beefsteaks you love (just don't overdo it of course), and exercise as much as you can, then you can maintain a beautifully fit and slimmed body.